The Cat Hawk is designed for non-spinnaker Catamarans up to 8m. It has been developed to mount onto .. The Great Hawk is a scaled up version of the original Hawk. It is designed for Cruising and Racing Y.. 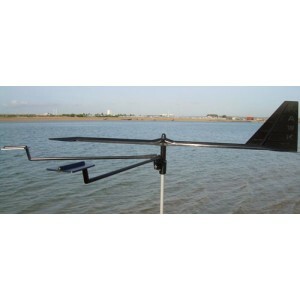 The Hawk is the original Hawk Wind Indicator and sets the standard by which all Wind Indicators are .. 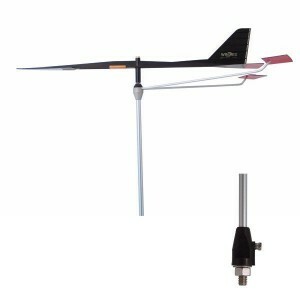 The Little Hawk MK1 is a small lightweight and robust Wind Indicator designed to be positioned at th.. The Little Hawk Mk2 brings all the benefits of the Little Hawk Mk1 Wind Indicator and mounts it in a.. The Wintec vane is an original approach to the dilemma of lightness versus resistance. With all supp.. 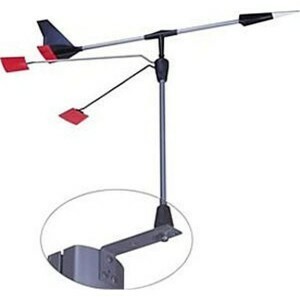 Designed in Switzerland by the world leader in wind measuring instrumentation, JDCElectronics, the S..
Electronics, the Skywatch Range of Wind Instruments are expertly crafted and beautifullydesigned.Win..
Spares are available.Length 10 inches / 25cm.Sapphire jewel suspension.Reflective markers on vane an..